I was recently interviewed for the Beniceland blog. This is one of my favourite blogs about Iceland, and its created by a chap called Ben Goddard. Ben describes himself as ‘Sarcastic, Bearded, attunded to the country of Iceland, I like biscuits’, which kind of says it all. Anyway, here it is. Having joined Twitter many moons ago it wasn’t long till I found people that had similar interests to me, or should I say obsessions. Within a short space of time there seemed to be a mini community of Iceland obsessives and I’ve actually met some of these in the people in the real world. Most of them seem to be alright…. Anyway, one of these people who I have got to know is Ed Hancox, a fellow obsessive with all things Icelandic, and he is just about to launch his book ‘Iceland Defrosted’. A book that was financed entirely by contributions to his crowd funding page. The book is set to launch soon with events in London and obviously Reykjavik. Ed managed to spare a few minutes while putting the finishing touches to the launches to answer a few questions. b: So when/where did your fascination with Iceland begin? EH: I think it in 2004/2005. I’ve long been fascinated with cold places, so Iceland had always been on the list. Then came Sigur Rós; I was working at a record shop at the time and their music had a huge impact on me. The die was set though, when through my work, I got to know an Icelander. He has shown me things in Iceland that I’d never have seen ordinarily. Oh, and he can drink me under the table. b: What made you decide to write a book and how long did it take to write? EH: The same Icelander – Einar – was pleased and surprised with my obsession for Iceland and all things Icelandic. After the 4th or 5th visit (we’ve stopped counting now!) he suggested that I start putting it in a book. It’s taken about 6 years to write. I didn’t realise it at the time, but it’s a very Icelandic thing to do – write a book. b: You set up a Kickstarter page to finance the book. What made you choose this method? EH: Well, traditional publishing is in disarray, and publishing houses were not wiling to chance it on an unknown author with a fairly niche subject. I saw that Kickstarter books had a fairly high success rate and decided to go for it. I couldn’t let six years of writing, and crucially, all the help from the kind-hearted Icelanders over the years just sit redundantly on my hard-drive. b: You got a pretty overwhelming response and made your target within a couple of weeks. Were you surprised how interested people were in your book? EH: Yes! I was bowled over. I hit my target in six days, and went on to gain funding from 122 backers and totalled 179% of my original target. I honestly thought it was going to be a huge flop, and pressing the ‘launch’ button was terrifying. I needn’t have worried; my friends in the UK & Iceland were right behind me. One Icelandic friend contacted Morgunblaðið, a daily Icelandic newspaper and got my campaign featured. Meanwhile, my online friends did everything they could to spread the word. I quickly got backers from all over the world; Australia, Brazil, Singapore, Europe and lots from the US & Canada. I am hugely grateful for the kindness and support shown. b: Were there any problems in getting the book together? EH: No, it was all fairly straightforward. I found an excellent editor who had worked for Rough Guides, and she proved to be a guiding light. We made some huge changes to the order of chapters, and this was definitely the right thing to do. It now flows like a story, and I’m really proud of the final product. b: What can we expect to find in the book? EH: Where do I start? It’s the story of my obsession with the people, places and music of Iceland. It’s not really a Rough Planet, Lonely Guide sort of book, more the sort of yarn to read over a strong black coffee whilst a storm howls outside. It has tales of snowmobiling on Vatnajökull, the wild side of Reykjavik on a weekend, tracking down Eider, hunting sea monsters in Arnarfjörður, a woman that can see elves in Hafnarfjörður, attempting the ‘delicacy’ of rotten shark meat, chasing / be chased by reindeer, heeding advice from Iceland’s only Michelin starred chef on what Icelandic food to eat (and what not to eat), interviewing Icelandic musicians, finding isolation mixed with fog in Djúpavík, and a trip to Hull. No, really. b: The launch in London is at the Icelandic Embassy, how did that come about? EH: Me, being cheeky! I needed a venue for the London launch, and I couldn’t think of anywhere more suitable. I just gave them a call, and it went from there. They have been so helpfull, it’s been a pleasure to work with them. Together, I think we can make it a really special night; a little corner of Iceland in central London. 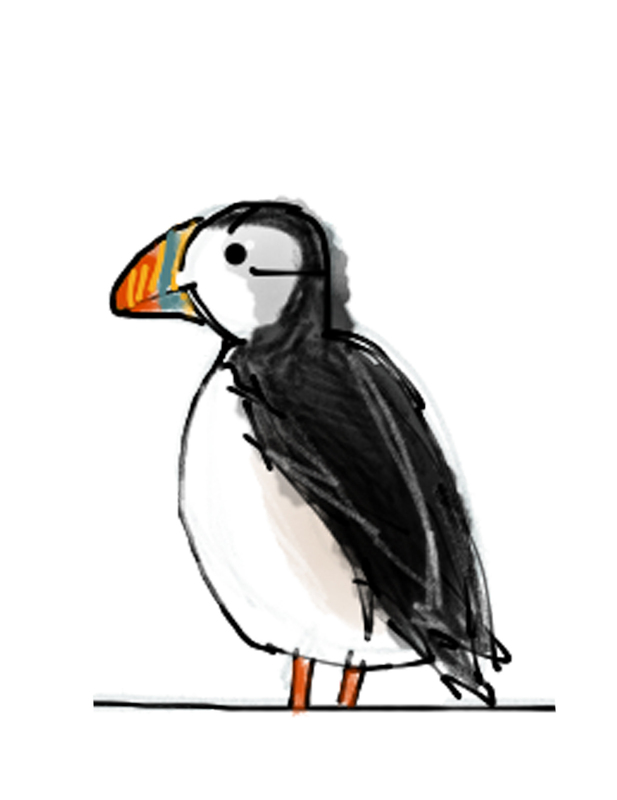 b: You also have Icelandic artists performing at the London and Reykjavik book launches. What can you tell us about the performers? EH: Well, ÍRiS is playing at the London event. She is a brilliant singer/songwriter from Reykjavík who is flying over especially to perform. She is fairly new on the music scene, but has a background in jazz and classical music. Her music is just beguiling, and she will be performing an intimate, acoustic set. She is about to release her debut album, which was also crowd-funded so we have that in common. Rökkurró are playing at the Reykjavik event. Rökkurró play melodic, semi-acoustic material, topped with the sweetest, quintessentially Icelandic vocals. I still don’t know how I managed to get one of my favourite Icelandic bands to play, but it’s happening. Hildur from the band was due to play solo as ‘Lily & Fox’, but contacted me to say that Rökurró would play an exclusive set. I spent several minutes squealing like a girl! b: So now that you’re a published author, can we expect more books from you? EH: Ha! One at a time. I am definitely tempted, but all my time is taken up by my ever increasing family, my day job and writing columns for Iceland Review and my blog (iceanddefrosted.com). I also need to concentrate on getting my debut out there for people to read and enjoy. b: What/where has been your favourite performance by an Icelandic band? EH: Tough question! I’ve seen Icelandic bands play all over the world, but shows on their home turf seem to be something special. The Sigur Rós tour of Iceland in 2006 was really good, although I’ve must have drunk too much as my memory of the Reykjavík concert is a little hazy. The Sigur Rós homecoming concert in 2008 was amazing, especially as some of the performance was from behind a waterfall. Sigur Rós, in Reykjavik, on a cold, frosty November night with an Icelandic beer in hand and the band behind a waterfall? Perfect. b: What 5 tips would you give to someone visiting Iceland for the first time? Don’t buy water. Icelandic water, even tap water, is excellent. I once got told off by Hafdis Huld for having bottled water. Take it easy. Don’t plan everything. In Iceland, things just happen. People say that Icelandic hotdogs (pylsur) are good but I think that Icelandic burgers are better. Try Hamborgarafabrikkan or Hamborgara Búllan if you don’t believe me. Cheap, and ubiquitous, Hotpots are fantastic, and especially the natural ones. 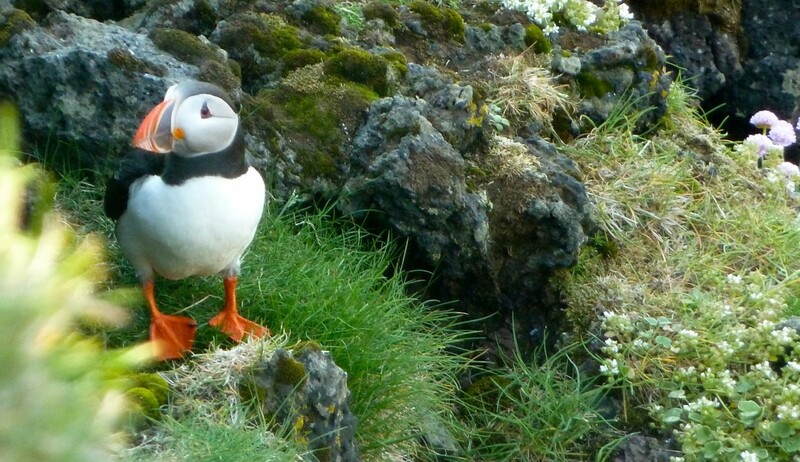 You can see Icelanders in their natural environment, and they can actually cure hangovers. This is not scientifically proven. 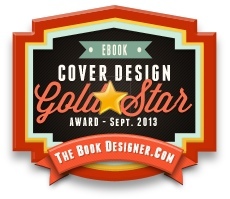 There is a really good book I can recommend…. 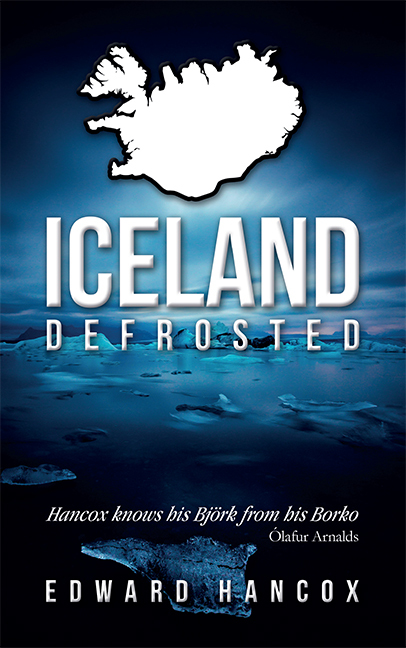 Thanks to Ed for his time, Iceland Defrosted will be available to buy from all good bookshops and online (Amazon etc) in paperback and ebook format from 1st July. « Rökkurró to play Iceland, Defrosted launch!